Oscar Washington Tabarez hauled himself onto a plane for the marathon journey from South America to South Korea, where his Uruguay side are in action on Friday, before taking on Japan next Tuesday. It is just over 30 years since Tabarez first took charge of Uruguay, in a spell that ended with second round elimination at the 1990 World Cup in Italy. Uruguay then failed to make it to three of the next four World Cups, and fell in the group phase of the one they did reach. It seemed that the great days were well and truly over for the first-ever world champions. With a population little over 3 million, it was impossible to see how Uruguay could continue to be competitive in a globalised environment. And then, at the start of 2006, Tabarez returned. A qualified teacher as well as a former centre-back, he had been applying his mind to the search for a way forward. The results since, have been a dazzling success. 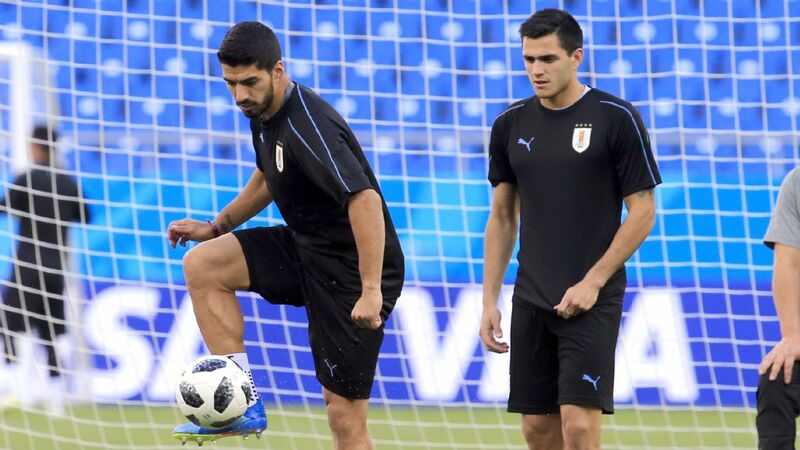 In the three World Cups on his watch, Uruguay have reached, respectively, the semifinals, the second round and the quarterfinals. Even more impressive has been the constant flow of talent which has come through Uruguay's under-20 team, the undoubted priority of the Tabarez project. The current crop of youngsters are so good that, at the age of 71 and with a degenerative nerve ailment, the coach is fired with enthusiasm for the future, and has signed on for four more years. There have been hiccups along the way -- most notably last month. With the Uruguayan FA in chaos (FIFA have appointed a committee to sort things out), there was no one around to offer Tabarez his new deal. And so youth team coach Fabio Coito took charge. It is a reflection of how smoothly the national team is running, that Uruguay beat Mexico 4-1 in a September friendly in impressive style. "In the 12 previous years there have been five different FA executives, so all of this is nothing new for me," said Tabarez this week at a news conference. "If we had a championship for professionalism, then in South America Uruguay would be battling against relegation with Bolivia. I always hear that we have a third-world domestic game and a first-world national team." Tabarez is clearly the main factor behind the second half of that sentence. His work over the last 13 years has been based on the acknowledgement that domestic Uruguayan football could no longer serve as much of a measure of quality. It was up to the FA to ensure the future of the national team, by identifying and developing youngsters good enough to thrive in top class global football -- the chief characteristics identified by him and his staff were speed of movement, speed of thought and speed of technical excellence. And it is the success of this development work that has enthused him to hang around for one more World Cup cycle. The raw material is there, especially in midfield. Rodrigo Bentancur was chosen as the revelation of Russia 2018, Lucas Torreira is settling in nicely at Arsenal, Federico Valverde of Real Madrid is a genuine talent. 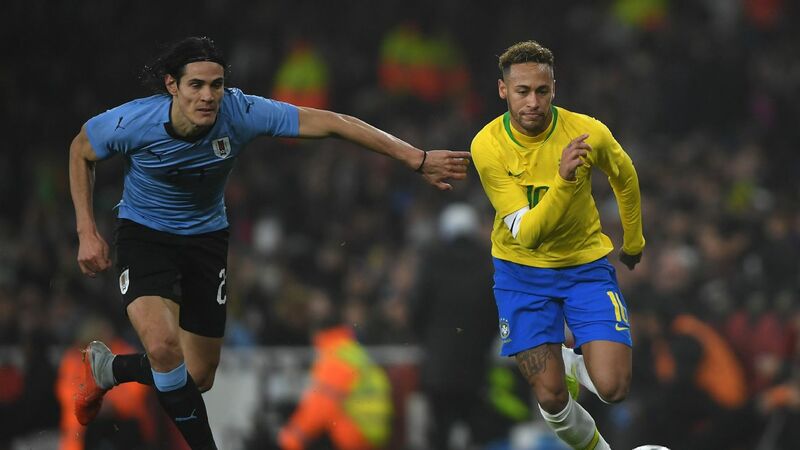 True, talismanic duo Luis Suarez and Edinson Cavani might be past their best in Qatar 2022. But for the time being they are still at the top of their game, and in the long term there are hopes that bull-like Maxi Gomez could become a world class striker. And over the next few days in South Korea and Japan, there will be a chance to blood young left-back Marcelo Saracchi -- another youngster with enormous potential. Nearly 12 years ago, in the year of friendlies that followed the 2006 World Cup in Germany, Tabarez gave an international debut to Suarez. In the year following 2010, centre-back Sebastian Coates, playmaker Gaston Ramirez and striker Abel Hernandez were all introduced. And blooded in the season after 2014 were midfielders Carlos Sanchez, Giorgian De Arrascaeta and Camilo Mayada, defender Gaston Silva and strikers Diego Rolan and Jonathan Rodriguez. Almost all of these players were products of the under-20 ranks. Not all of them blossomed with the seniors -- though most of those named have had a long run in the squad, and some are still important members. But it is all done methodically, with the aim of rebuilding the team step by step. And the process is yielding such tasty fruits that Tabarez, at an age when he would be quite entitled to sit in front of the fire with his slippers on, would rather travel to the other side of the world to begin what will surely be his final four-year cycle in charge of Uruguay.